Don’t Forget Your Comic Book Donation! The Queens Cross Housing Association (QCHA) is a community-based housing association; a not for profit organisation and recognised Scottish Charity (no.03634). Their community development services provide education, employment, life skills and social activities for people of all ages and backgrounds. The QCHA is letting us use the Dundasvale Residents’ Hall to host the unconference for free in return for a donation of comics for their youth clubs. We are asking all participants coming to the unconference to bring a comic (or even better, several!) that would be interesting to young persons aged between 5 and 18. 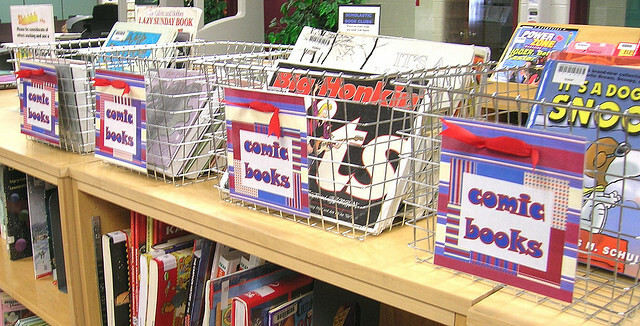 The comic or comics you donate don’t have to be new or from a particular genre or format as long as the books are age-appropriate; something from your own collection or that you made yourself would be very welcome. This entry was posted in Scottish Comics Unconference Meet-up News and tagged donations, QCHA, unconference. Bookmark the permalink.